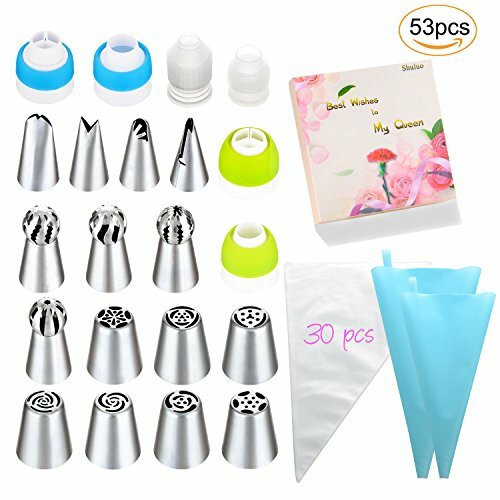 7 Unique Designs Russian Piping Tips + 4 SPHERE BALL tips + 2 LEAF Tips+2 RUFFLE Tips, 2 SINGLE Color Coupler + 2 Tri color coupler, 2 Silicone Bag + 30 disposable Icing Bags in a Special holiday gift box,It is a good choice whether you use or as a gift. Frosting Nozzles made of 304 Stainless Steel materials. Couplers are made of food-grade, high-quality plastic and harmless for the body. Bag made of food grade silicone, please rest assured to use. 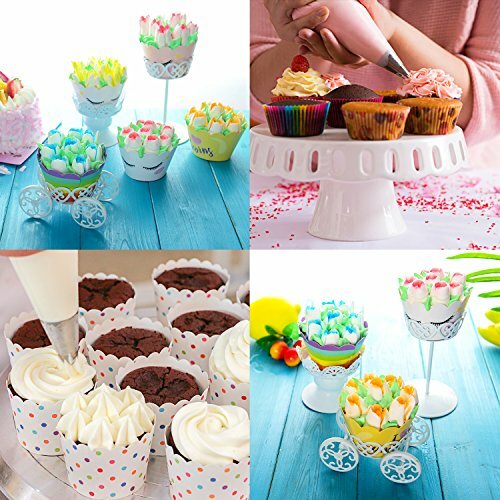 Russian Piping Tips is especially used to make cake,cookies ,cup cake, muffins and ice cream decorations,it can make your cake or ice cream more beautiful and cute. 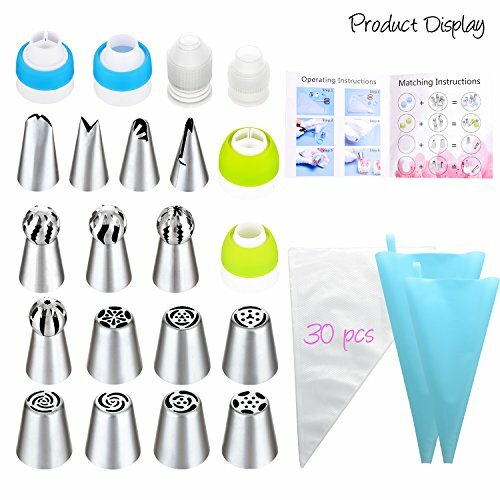 Our Russian Piping Tips with its own Instructing in each package, whether you had any contact with this product before, you can easily operate it according to our instructions when you receive it. When you receive our products, if there are any unsatisfied, you can contact us directly. We support 30 days no reason to return and 24 hours online service. To ensure you will have the unique and special shopping experience. 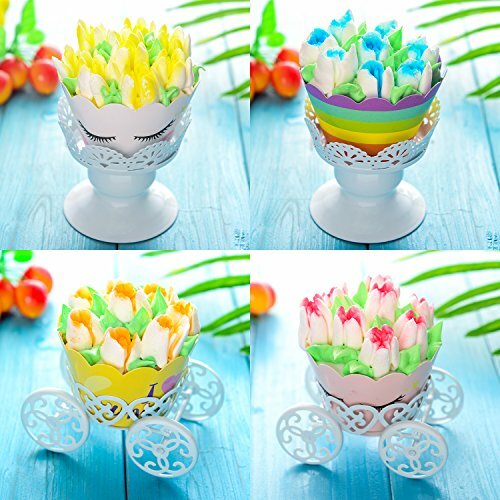 ★PACKAGE QUANTITY: Our Russian Piping Tips are consisted of 7 Unique Designs Russian Piping Tips + 4 SPHERE BALL Tips + 2 LEAF Tips + 2 RUFFLE Tips, 2 SINGLE Color Coupler + 2 Tri Color Coupler, 2 Silicone Bag + 30 Disposable Icing Bags in a Special gift box. ★QUALITY & MATERIAL: Frosting Nozzles made of 304 Stainless Steel materials. Couplers are made of food-grade, high-quality plastic and harmless for the body. Bag made of food grade silicone, please rest assured to use. 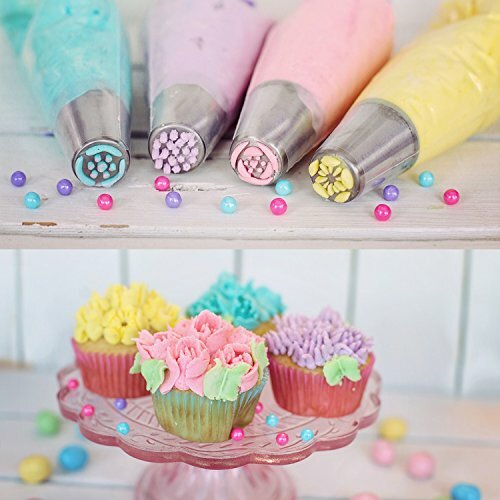 ★USES & TECHINQUE: Russian Piping Tips is especially used to make cake, cookies ,cup cake, muffins and ice cream decorations. 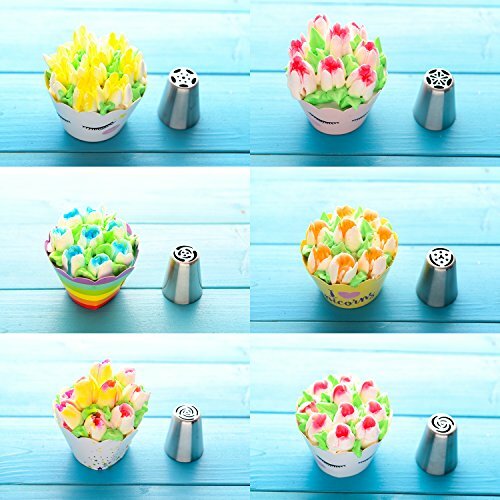 It can make your cake or ice cream more beautiful and cute. 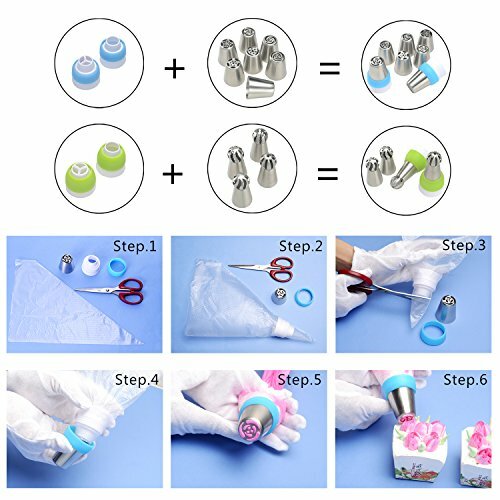 ★OPERATING & MATCHING INSTRUCTING: Our Russian Piping Tips have its own instruction in each package, whether you had any contact with this product before, you can easily operate it accroding to our instructions when you receive it. ★SATISFACTION GURANTEE: When you receive our products, if there are any unsatisfied, you can contact us directly. We support 30 days no reason to return and 24 hours online service.To ensure you will have the unique and special shopping experience. If you have any questions about this product by Face Forever, contact us by completing and submitting the form below. If you are looking for a specif part number, please include it with your message.